Lynnbym, Hollie, Jade(pixie), Emily, and Kestrel would like to invite you to a 6 night kidz and family Rainbow Circle summer camp. People of any age will be welcomed, children under 18 must be accompanied by a responsible adult. Those of you who came to Rainbow Circle's Beltane camp, commented on the sense of family and the strength of love that was present, we aim to emulate that feeling and look forward to the blending of our positive and loving energies to create something beautiful. If after reading this you have any suggestions, offers, advice, or general comments, please don't hesitate to speak to one of the named coordinators. 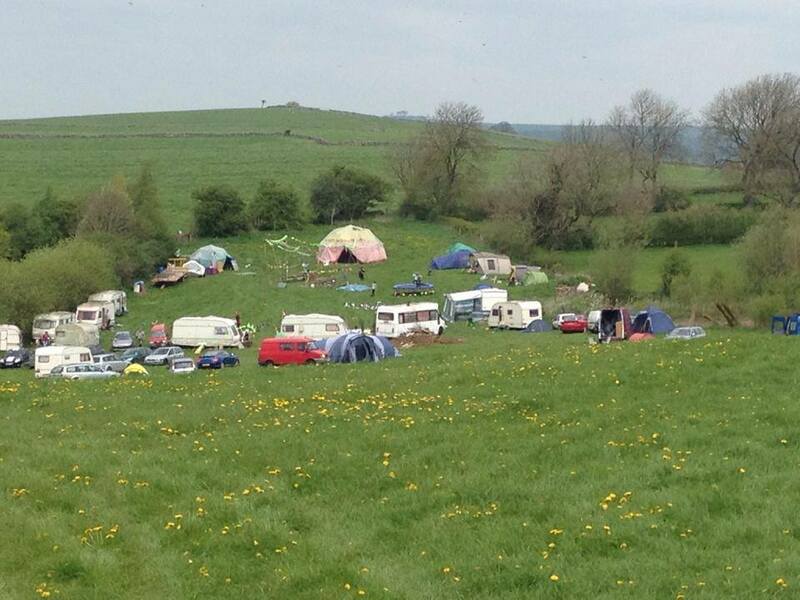 The camp is to be in Derbyshire, near Ashbourne on an organic working farm and public campsite. WE MUST OBEY THE COUNTRYSIDE CODE and Rainbow Circle wishes to uphold to these codes and honour the Rainbow ideals. The coordinators can refuse entry to anyone and can tell anyone to leave who's behaviour breaks the Rainbow Circle constitution or the safer space policy. We have to limit the amount of people at summer camp to 100, so it's advisable to book your places in advance to avoid any disappointment. The booking forms will be made public and available as soon as they are finished. As will the return details. You are welcome to just turn up, but do run the risk of being told we are full. RESPONSIBLE DOG OWNERS are welcome to bring their furry family members. There is a �deposit per dog, which is returnable on leaving camp, provided you have been a responsible owner. ALL DOGS MUST BE ON A LEAD or securely tethered AT ALL TIMES. 10.30PM noise curfew , this means no drumming, or loudness after this time,and no amplified music at ANY time and with the kids in bed, local people having to get up for work,please respect your fellow campers too and keep the noise down we know you will understand and respect that and remember that Sunday is also a working day for people too. . While we have a kids coordinator, it is every parents responsiblity to be aware of their own childrens whereabouts and well being at all times. RAINBOW CIRCLE DOES NOT OFFER CHILDCARE. We welcome and indeed expect parents to be involved for story times, words games, physical games and other child friendly workshops and activities. Also we have DEFRA requirements to fulfill, tents and caravans have to be a minimum of three metres apart. PLEASE be aware of basic campsite guidelines. PLEASE TAKE ALL RUBBISH HOME WITH YOU and leave the site as spotless as you found it. PLEASE do NOT approach the farmer unless it is to arrange personal stays on the campsite paying his normal price. We ask that personal fires be kept off the ground, bring your own although you may be able to rent one when you arrive . It is our wish that as many people as possible congregate around the main heartfire. All clean, dry firewood donations would be very gratefully recieved. Cabar閠 on saturday night.. and lots of things that bring smiles inbetween. We hope to see you at kidz and family camp starting Wednesday 6th August - Tuesday 12th August.